What can you do in Lakeland? Rent Party Bus Lakeland! This is a Florida city where you can find all the different things to do and not just watersports and water fun. It has abundant natural scenery and tourist spots to visit and of course this is a perfect family vacation spot so expect nothing but the best in wholesome family fun. When you are vacationing with the entire family, the best ride is always a party bus. Call today, 407-374-2370. What’s great about a party bus Lakeland FL ride is that you will be vacationing minus all the stress and hassles of commuting just to get to your chosen Lakeland attraction on time. You will be enjoying your trip with the latest audio and video equipment, the most updated lighting and speaker systems and even gaming systems too. You will also get to book a larger and more luxurious party bus if you wish through the company. If you think the party bus is too extravagant, try our Lakeland limo service. And your party bus Lakeland FL ride comes with your own professional limo driver who will take you to different places safely. He knows Lakeland like the back of his hands and will get there using the fastest and the most convenient routes. Booking your party bus Lakeland FL is easy. Once you have determined the number of people in your group you can immediately select the ideal party bus size and amenities that you are looking for. You can call or send the company an email regarding your reservation. 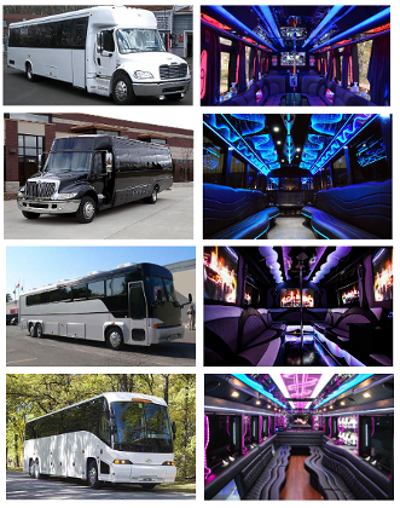 View all Central Florida party bus rental locations. It is important to consider the date and the season for your reservation. The busiest time of the year such as summertime, Christmas time and prom seasons should be carefully considered and so you must book in advance to reserve your ride right away. Party bus rental Lakeland is here for all of your needs. Make your reservations before it is too late: 407-374-2370.
Henley Field Ball Park – watch a popular baseball game here and you will surely say that it is one of the most amazing experience of your life. Lake Hollingsworth –this is a scenic lake where you can walk or run in the banks. But beware of alligators! Safari Wilderness Ranch – have a wild safari time to meet different local animals and other creatures from other parts of the world! This is a truly great family experience. Munn Park – have a breath of fresh air and visit the most popular park in Lakeland. Kelly Recreation Complex – this is where you can find the best facilities when it comes to community indoor recreation. There are gyms, spas, courts and places to work out. You may ask your party bus Lakeland FL to pick you up from the Lakeland Linder Regional Airport to take you to your destination or to your accommodation in the city. You may also ask to take you to nearby cities too such as Clermont, Leesburg, Lake Mary, St. Cloud, Oviedo, Apopka, Winter Springs, Casselberry, Winter Park, Kissimmee and Altamonte Springs. Additional services include party bus Winter Haven or party bus St. Cloud.